Happy November! It’s finally appropriate to talk about Christmas! I love seeing everywhere with their Christmas decorations starting to appear it makes everywhere so much prettier. 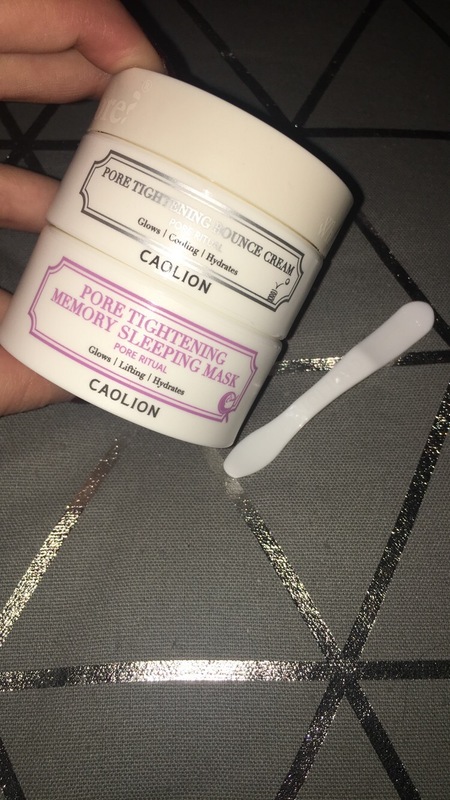 Today is a review of the Caolion product review. This is definitely a beauty item to add to your Christmas wishlist or even to buy for someone as a present/stocking filler. 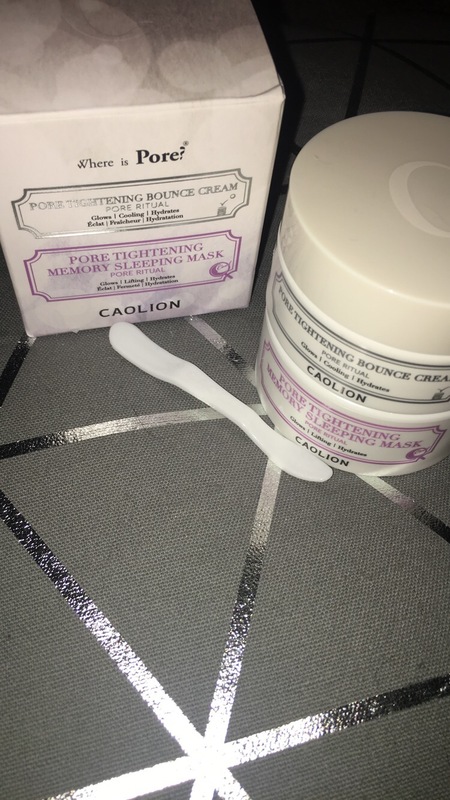 CAOLION PORE TIGHTENING MEMORY SLEEPING MASK which tightens pores while you sleep. So this is basically a product I apply on my skin at night time and go to sleep with it on meaning that when I wake up in the mornings my skin is looking its best. I had never tried a mask that you sleep in before but this is definitely not the last one I’ll try. So as this is a day and night duo I’m sure your asking yourself what do each of them do? Well the Day cream works on Natural Brightening and helps to make your skin look as bright and revived as possible it Controls sebum and hydrates the skin with its unique light & bouncy cream texture, leaving your skin bright and moisturized whereas the Night mask works on Tightening your pores overnight to ensure your skins looks it’s best when you wake up on the mornings. 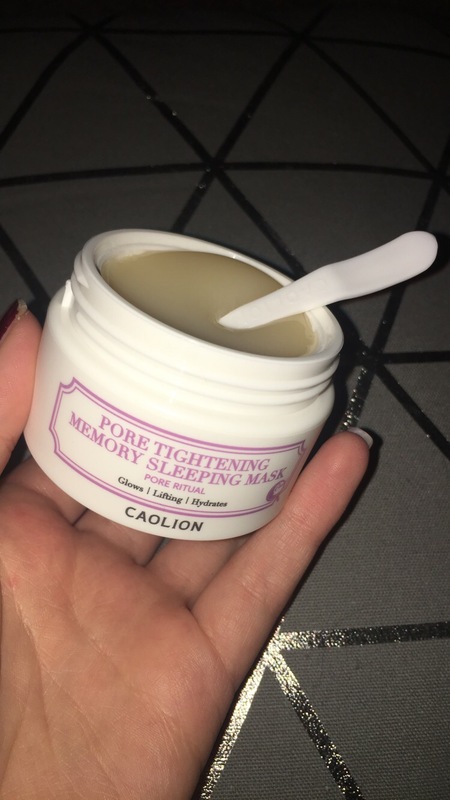 It is an Intense pore tightening sleeping mask (meaning it enhances elasticity) While the cooling effect calms the skin, the memory formula tightens pores and enhances skin elasticity overnight so your basically achieving prefect skin as you sleep what could be better? What are the benefits of using this duo? 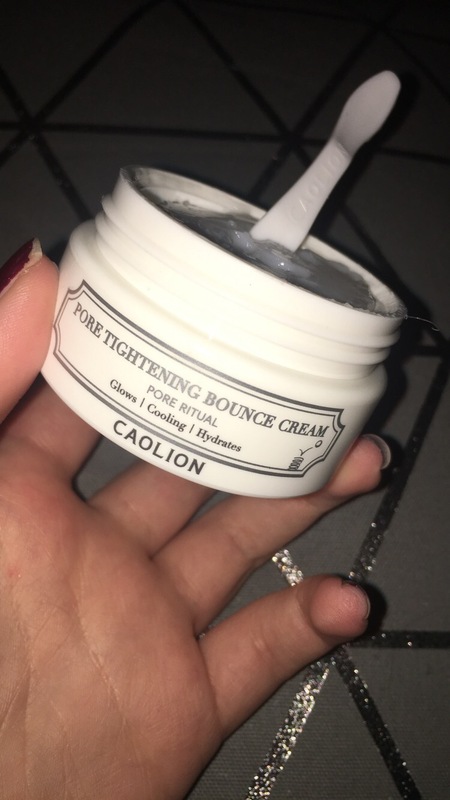 2) it’s Non-sticky and quick absorbing Bouncy cream texture absorbs quickly into skin without stickiness, leaving the skin feeling really hydrated. 4) Contains certified brightening + anti-wrinkle substance Enhances elasticity and complexion, leaving the skin healthy.